Of all the technologies contributing to the ongoing low carbon transition of the UK, it is arguably the electrification of the UK’s cars that holds the most attention. Where the public generally doesn’t care about whether or not their electricity comes from a solar farm or a coal plant – see low uptake of green tariffs for evidence of that – people do care about their cars. EVs offer the chance to take the low carbon revolution to the people, offering a direct and tangible link to the energy system of a future from behind the wheel to get them engaged, excited and motivated to take part. Within this context, positive strides are already being taken - car manufacturers electrifying their fleets, petrol and diesel car sale bans around the world to name a few. But it is also important to look at what could stand in the way, or at least what is deemed to. 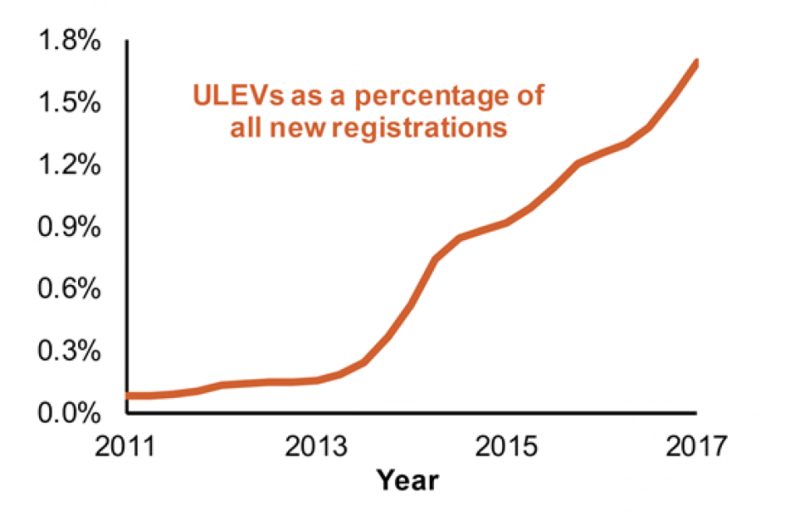 New registrations of EVs, while low at around 1.7% of overall car sales currently, have still grown at a rapid pace, with the latest figures showing over 53,000 ultra-low emission vehicles having been registered last year. This marks an increase of 27% on 2016 and is symptomatic of the rapid rise of alternative fuelled vehicles, with around 146,000 thought to be driving around the UK as of April 2018. Image: Department of Transport Vehicle Licensing Statistics: Annual 2017, April 2018. Combined with the sharp decline in the number of diesel cars being registered in 2017 (down 17% compared to 2016) that led to a decline in overall vehicle registrations, it’s easy to see that at some point these lines will converge. Chargemaster, the largest operator of charging infrastructure in the UK with over 6,500 chargers, expects there to be 70,000 new EV registrations by the end of this year. Further estimates put the total number of EVs on UK roads at 1 million by 2022, 5 million by 2027, 9 million by 2030 and 14 million battery electric vehicles on the road by 2035. 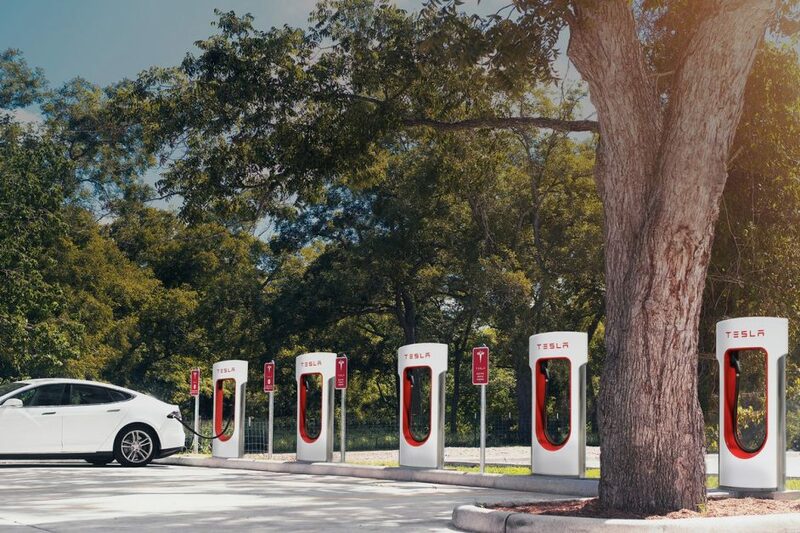 Where the excitement around this growth cools, at least when it comes to the wider press and mainstream perception, is when it comes to the question of charging infrastructure. Anxiety has always been associated with EVs, beginning with the issue of range as motorists fret over how far their ‘milk cart’ may get them down the road before it conks out. There was a time when there was an element of truth to these concerns, in the early days of EV driving when battery sizes were small, range was short to 80-120 miles and the nation’s charging network was in its infancy. But that is not true today, and yet the question remains. Do we have enough charging infrastructure? Yes is the short answer, as Chargemaster’s director of strategy Tom Callow explained at an event earlier this year. “There are at least 90,000 home charge points, at least 20,000 commercial charge points in workplaces so [with ~15,000 public chargers] there are broadly speaking as many dedicated charging points as electric vehicles at the moment in the UK, and we'll see that continue,” he said. Considering Chargemaster is adding a further 2,000 chargers to its public network this year – and that’s just one of the numerous charging network operators in the UK – it’s not exactly an earth-shattering conclusion to reach. The more interesting point is around current utilisation of existing chargepoints, which are in fact underserved by the number of EVs using them. The POLAR Network offers over 6,500 chargers nationwide, and yet at last counting, at its peak only 1,064 were being used at any one point, leaving the lion’s share of the network free. As Callow explained: "So anyone that says we don't have enough infrastructure in the country, why do we have 5,000 charging points that aren't being used at any one time? They can't all be in the wrong place." “The misperception is that the more people that have EVs the more clogging of the public charge points there will be, as actually there is a lot of capacity there already. The stranger part of this misperception is that new thinking and phrases are being applied to EVs that are ignored when it comes to petrol and diesel vehicles. There is not a conventional vehicle on the market with unlimited range; you drive until your fuel tank is empty and then you re-fill it. This logic applies to petrol, diesel, hybrid and fully electric vehicles except that where a visit to the petrol station is a distressed purchase (fill up or get stranded at the roadside), EV charging offers you far more options to accommodate your daily travels. One question often raised at EV events is this: if you had a pump at home, would you bother with a trip to the petrol station? Unless you really enjoy the snacks and self serve coffee, the answer is probably no. And so when such a situation is possible with EVs, why question it? It is no surprise then that as the UK’s fledgling EV market has progressed, this has been the key driver of charger deployment. Since 2011, the plug-in car grant has been available offering 35% of the cost of a new plug-in or fully electric vehicle up to a certain figure depending on the model. 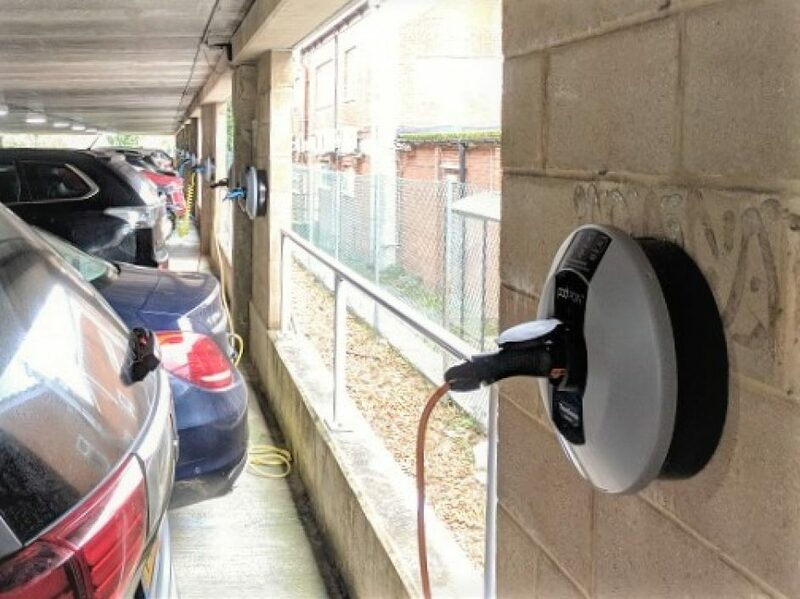 Meanwhile, the Electric Vehicle Homecharge Scheme (EVHS) provides grant funding of up to 75% towards the cost of installing electric vehicle chargepoints at domestic properties across the UK. These two funding mechanisms have been instrumental in building EV take-up to the point it now stands, making home chargers in the words of James McKemey, head of insights team at supplier Pod Point, “a volume product”. The majority of vehicle charging is done at home, with drivers usually purchasing a charger when they buy their vehicle. Both Pod Point and Chargemaster have an impressive list of vehicle manufacturer partners that see these chargers packaged up at the dealership and as car battery capacities increase, so do charging speeds. Home chargers have already progressed from a standard 3kW unit to 7kW. It is, however, unlikely that this increase will continue exponentially in line with battery sizes as the amount of time spent at home will probably not change, as pointed out by Mark Kerstens, head of strategic accounts at ChargePoint. The US charging infrastructure giant recently entered the UK market with a destination charger supply deal with Instavolt, but is also preparing its own home charger play. “Charging speeds may go up, batteries may get larger but most people are not going to sleep shorter. They’re still going to spend eight or ten hours at home with their families and sleeping so frankly whether the battery is large or not is not necessarily the key thing, they will have plenty of time to have their vehicle charged overnight,” he said. The ease at which people pull in to their driveways or garage, plug in and leave to charge overnight already puts EVs higher on the convenience scale than petrol and diesel alternatives, and will likely mean that the vast majority of charging remains in the home. But, if that’s the case, the issue then becomes one of what to do about those homes – and indeed drivers – without access to a garage or driveway. Short of public charge points outside every home, in every lamp post or with cables trailing across pathways creating a world of trip hazards, many see this as an insurmountable barrier to mass-market take-up. There could be cause for concern later in the timeline of EV take-up but for the industry is not concerned. Add to that the issue of those in the rental sector that may have off-street parking but not the final say on what can be installed in the home, and the issue becomes even less persistent. And as McKemey argues, a lot of good can be done in the meantime by tackling those with off-street charging. While it’s always been on the periphery of this subject, since last summer’s Future Energy Scenarios document by National Grid, and a headline grabbing but contentious piece of work by the Green Alliance, the issue of the grid has come to the forefront of this discussion. Concerns over not being able to boil the kettle for a cup of tea while charging an EV have obviously caught the attention of the British public (or at least its media), while other scary tales of a whole street shorting out if just six EVs are charging have also been widely reported. 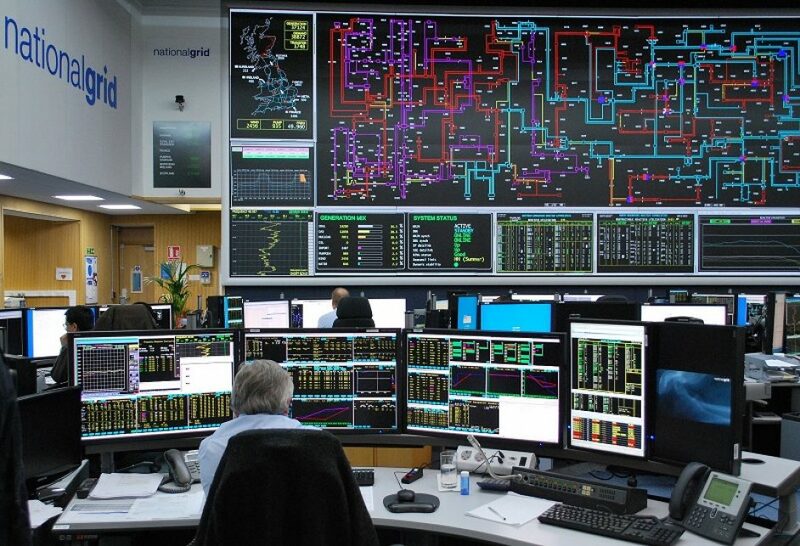 The increase in peak demand as people get home, plug in and settle in to watch their stories on the box have led to understandable concerns, not helped by the sometimes – it has to be said – wilful misconstruing of National Grid’s forecasts. While an 18GW figure was put forward, the “worst, worst case” scenario put out by National Grid - as described by its EV lead Graeme Cooper - would see a 30GW increase in peak demand in 2045. Cue worried Jeremy Clarkson types clutching the keys to their gas guzzlers in vindicated triumph. Despite the very clearly stated hypothetical nature of these forecasts, it was of course the 30GW figure that was picked up by mainstream press. “Ten new nuke plants” was the phrase of choice, an improvement on the Daily Mail’s “20 more nuclear stations” story from February 2017, but still a scare story for the masses. However, it was just that – a scare story. 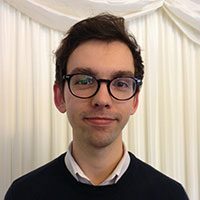 As Cooper recently stated to the Business, Energy and Industrial Strategy (BEIS) select committee, the inevitable adoption of smart chargers – to be legislated under the Automated and Electric Vehicles Bill currently at grand committee stage in the House of Lords – will see this peak drop considerably to around 4-5GW. While Callow concedes that the “huge peak” already measured in the evenings is “the biggest [problem] that the grid will face”, he added that it is also one with a relatively simple solution. “The vast beauty of this is that it can be solved very, very, very easily because all of the cars that have plugged in at 6pm almost invariably won't be needed for another 10-12 hours, so it's a great time to get them charged later or slower and longer, both of which will obviously reduce that peak. This view is widely accepted across the board, not least by Cooper who, let’s face it, probably knows more about the issues faced by National Grid in this area than most. "By having either tariff led or physical infrastructure for forcing charging or not at certain times, we probably only need at peak probably 5GW. That's a regular gas-fired power station and a bit. “If the doom-mongers worry about us all going out tomorrow and buying an electric car and charging it at the same time, there are a number of gas-fired power stations out there all with a grid connection and planning permission. So if there was a sudden uptake, the lights would stay on,” he said. “We are already very successfully working with a number of utilities and this is mostly in the US but the same thing applies to Europe. Demand response, load management; there's all sorts of ways how if there is indeed a demand spike to curtail the charge rates and help reduce the pressure on the grid,” he said. These are not early adopters, these are established firms taking on new technology for financial or social responsibility purposes. Although let’s face it, it comes down to money before anything else. And with these EVs come EV chargers, leaving the supplier community chomping at the bit for future deployment opportunities. "The biggest growth sector for the next five years will be workplace charging, probably a similar size to the overall public charging. We think 50% of workplaces with car parks by the end of 2022 will have charging infrastructure of some sort,” said Callow. Reasons behind this vary, but to continue the home charging argument for a moment, one would be that it offers a fairly robust solution to the 43% question. On a commercial basis, we’re already seeing some big installations take place as firms begin to accept the benefits of electrification. The largest single site installation was recently completed by Pod Point for contracting giant Skanska, with 67 charge points in place at its UK head office. This was announced just days after what had been thought to hold the title, an installation of over 40 chargers at an East London depot of Gnewt Cargo, completed by EO Charging. According to founder Charlie Jardine, such installations are just the start as the financial case for taking on an electric fleet start to stack up. “I think this year and next year one of, it not the, highest gross area of the market will be on the fleet side,” he said. “Everything boils down to one thing for fleets; total cost of ownership. If this goes up because either you can't drive into certain [ultra low emission] zones anymore, or you pay congestion charging, it’s just very simply such that petrol or diesel becomes much more expensive." With a typical sweet spot of between 80-100 miles a day to get good savings on fuel, Jardine argues this in itself is enough to make the business case for electrification. When you add in congestion charges and paid parking (often not an issue for EVs), the commercial case in his words is “obliterated in favour of EVs”. It’s no surprise then that charging suppliers are paying solid attention and expending resources on the workplace market, not least as it is one that in Kersten’s view has been “under-explored and under-developed” so far. “That may be because of the charging companies, it may be because of policy or a combination of all of the above,” he added. Attempts have been made on the policy side, with a workplace charging scheme introduced in November 2016 to mirror the home version, offering £300 per installation of an electric vehicle (EV) charging socket. However, according to Pod Point this has so far had little impact aside from creating a reason to have new conversations with workplaces to gauge their interest (everyone loves a subsidy apparently). And so the question remains, what else is there to do to incentivise workplaces to commit to electric, both for themselves and for their employees? On this point, Burghardt brings it back to local and national government policy. “Everything boils down to one thing for fleets; total cost of ownership. If this goes up because either you can't drive into certain [ultra low emission] zones anymore, or you pay congestion charging, it’s just very simply such that petrol or diesel becomes much more expensive. “That's why it's so important that this goes hand in hand with government's putting in low emission zones and emission free zones because that together with the increasing re-sale value of electric and the increasing availability of electric, and the opportunity to charge at relatively low cost and therefore get low cost fuel, is the perfect mix for fleets,” he said. Direct fiscal incentives can no doubt play a role here too, above grants for chargers, to ensure the companies make the ‘right’ choice for both their own balance sheets and the environment. Burghardt continued: “Either you tax pollution more or you incentivise clean driving more. I think the fiscal incentives that make it more of a normalcy are probably the better ones. “Obviously we like it when infrastructure gets subsidised, the only problem is we see that often slowing down the build out of infrastructure as well so what you want to do is not make it extremely complicated for a workplace that invests in 10-20 charging stations to get some sort of benefit from the government. The idea of EVs acting as a benefit for workplaces is a sore point for Pod Point’s McKemey, more specifically the “asinine” benefit in kind policy adopted for the rest of this decade which taps into the further debate around pure electric versus hybrid vehicles. "Plug-in hybrid vehicles currently have the same benefit in kind tax advantages as full battery electric. It's the only place in government policy where they incentivise them the same up to 2020. Not only are they the same, the tax rate is ramped - currently we're at 9%, we go to 13% next year then 16% the year after,” he explained. A few years ago the government sought to consult with the industry on this policy, to which responses came screaming back to separate the two types of vehicle in favour of fully electric, thereby incentivising a fully electric fleet system which in turn would provide a greater boost for utilisation of charging infrastructure. Much to McKemey’s chagrin, the answer was somewhat less than satisfactory. “They said they'd introduce a 2% benefit in kind tax rate for full battery electrics in 2020, which means we're going to ramp the hell out of the disincentive at the point when the industry needs it. The issue is that the Treasury – or “the big house of no” as McKemey calls it – is cautious by nature (and by legislation) and so must give three years’ notice for any tax changes. “The problem is that the rates are in legislation and to change legislation is a lot of governmental work and as we get nearer to the date it becomes less relevant. “It would be game changing to bring that in but it would be a whole load of legislative time that they think could be better spent elsewhere...so we sit on this absolutely absurd policy until then, which is a real missed opportunity,” McKemey concluded. However, there remain numerous reasons for companies to adopt chargers to offset the benefit in kind issues outlined above. Where government could play its hand is in ensuring that companies are otherwise comfortable to invest in the technology. Burghardt suggests utilisation guarantees (this works for destination and public charging as well) whereby concerns over low use – and initial low returns compared to upfront costs - are overcome with a cash flow kick start, as he described it. Depending on your business, there remain other financial reasons to install chargers. Take the likes of Tesco, Sainsbury’s, Lidl, Nestle, Lloyds – all hosting Pod Point’s chargers for use by employees and used as a draw for the public. If not charging at home or at your place of work, destination chargers like these offer yet another area of deployment for chargepoints. This is where the likes of Instavolt have chosen to play, bringing in higher charging speeds to match the shortened time spent at each location. Those 3-7kW chargers just won’t do at gyms, retail outlets and so on. This ‘dwell time’ is what leads the provision of chargers in this space and offers yet another solution for the 43%. One can only hope, by now, that it’s starting to be clear that this just isn’t a concern. Whether it’s 50kW chargers from Instavolt, the rapid chargers being trialled by Pod Point and everything in between, a whole gamut of chargers can be deployed to meet different dwell patterns. Many of these are often free of charge as well, acting as a draw for customers to visit these locations. When Ecotricity began to tinker with its Electric Highway network, adding costs for the first time, partner IKEA kept them free as the reason for them was not financial but almost publicity more than anything else. Meanwhile, Sainsbury’s offers 7kW/7kWh charging for free, with a likely unit price of around £0.10/kWh being absorbed as a cost to the supermarket chain. With an hourly cost to the business of 70p, this is hardly a bank-busting amount not least as customers will be shopping in the meantime. “If you're in Sainsbury's for an hour and you haven't paid them 70p, they have bigger problems,” McKemey said. It also gives these businesses a bump in the use case for their car parks, and with a time of day charge - say when the store is closed – it offers an overnight income with very little effort on the part of the business, again particularly for those without off-street parking. However, as hopefully all of what has come before in this piece suggests, EV drivers are already well served across a range of different charging options. So are rapid chargers even required to the extent that some believe? "There are a lot of people that simply will not need public charging,” chimed in Callow. “We know this from speaking to EV drivers and there's plenty of people that don't use our public charging network because they simply don't need it. They get all their mileage from home chargers or workplace charging in some cases. "The idea that you need rapid chargers everywhere all over the UK is simply a fallacy, you don't and you won't." He backed this up with some stats from the POLAR network, which sees a member average out at around six public charges a month, equating to around 51kWh. However, once again a change in the consumer mindset is needed to accept this as for many, refuelling away from the home is so far ingrained that it risks damaging the perception of successful EV ownership. Charging with a rapid will most likely still take around 10 minutes as no matter the speed, they still require a certain amount of time to ramp up at the start and down at the end of the charging period to protect the battery. Compare this to the 30-odd seconds it takes to fill up on petrol and many would consider this to be too much of an inconvenience. These people do however seem to forget that these trips will be far less frequent, and the argument has probably been lost already for anyone that thinks waiting at a petrol pump is convenient. This is where home, workplace and destination charging offer the most logical situations for charging, whereby drivers go about their days, shopping trips or gym sessions happy in the knowledge that their car will charge and be charged by the time they return. McKemey continued: “You need to put charging infrastructure in all the places where a car spends its time doing nothing. Home is the first market that really bites, the next place your car spends most of its time doing nothing is work and that's a vital part of the charging ecosystem. This is where the story diverges at ‘distress’ points similar to when petrol and diesel drivers fill up. Research conducted by car buying site carwow found that drivers average just 91 miles each week, suggesting that they should be covered by charging at these locations. However, the same survey of 2,000 drivers found that most thought EVs would not be up to the task of carrying out a range of activities throughout a week, suggesting many believe their freedom to drive anywhere at any time is at risk. McKemey says this has led to an over-emphasis on the provision of public charging. “There tends to be a very big focus on that...and it is vital as the purpose of a car is total freedom. The reality is that we drive around the little ecosystem of our lives but that ability to be free to go wherever you want to go is totally reliant on a rapid charge network. So it is very important but it doesn't have the regularity of use that people might suspect that it does,” he added. Despite this truth, no one area of charging infrastructure gets more attention than the number of publicly available chargers, with deployment figures often used (out of context) to provide a troubling picture for reticent drivers. As we’ve already heard, there are around the same number of chargers across home, workplace, destination and motorway locations as there are EVs on UK roads. Yet when discussed in mainstream (and sadly even some industry) circles, the near 16,000 public chargers are put forward as the solitary figure to be shared amongst EV drivers. This is where National Grid recently began what could be an integral intervention in the debate, with the system operator’s EV lead Graeme Cooper proposing that range anxiety could be solved with just a relatively small number of strategically placed charging locations. "We crunched a lot of data and concluded for at least England and Wales we can fix range anxiety with 50 strategic locations for these ultra-rapid chargers (350kW),” he said. “To an extent [this] means that 96% of UK drivers would be able to drive in any direction from any location in the UK and be within 50 miles from an ultra-rapid super charger. While National Grid would not pay for these chargers, Cooper said it would make the high voltage cables available to accommodate the significant demand of banks of rapid chargers - a forecourt of nine pumps would require the infrastructure capable of handling 3.1MW of supply and a direct connection above 240V. The challenge would come when considering who pays for the rest of the infrastructure needed, with Cooper pointing out that the “targeted intervention” needed at these locations would be deemed “a market disruptor and doesn't fit within the normal [RIIO] framework”. Specifically, lumping the cost of such infrastructure on all bill payers would not be deemed “a fair distribution of costs” in the words of Ofgem’s senior partner Andrew Burgess. Instead, Cooper suggested these costs - anywhere between half a billion to a billion pounds – could be met at a fair cost by EV drivers. “To give you an interesting metric, if you take somewhere in the middle of that range and then smear that across car drivers today, that works out to be about £0.60 a car a year. So fixing range anxiety for [that] doesn't feel like a big deal for me,” he explained. While there is further debate over if banks of nine or ten rapid chargers are even enough at such locations – with each offering full charges within ten minutes, more are likely needed to avoid queuing in a world dominated by EVs – the grid supply to such locations remains a key consideration. “From a capacity point of view we are obviously dependant on the capacity that is either available or can be made available so that's just a matter of being smart about where that capacity is today and minimising the costs of upgrades,” Burghardt said. Charging deployment in the past has been accused of putting infrastructure in places it isn’t needed, particularly in an effort to increase the number of public charge points. 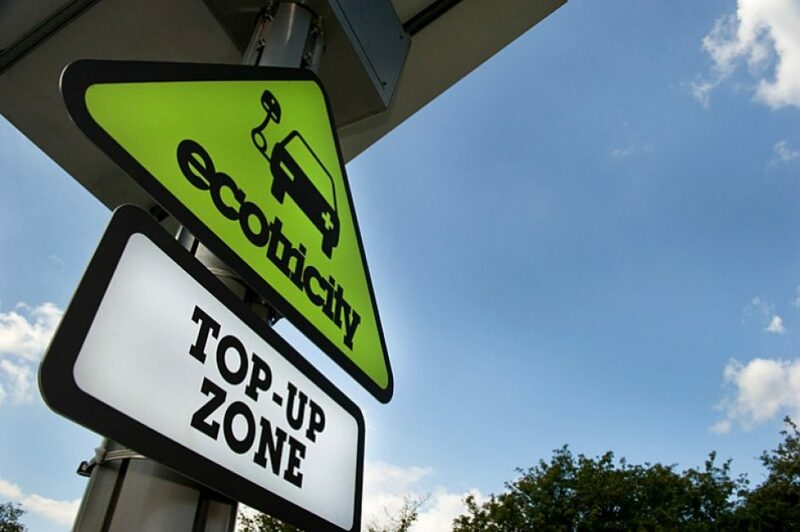 And private deployments have already emerged, with Ecotricity’s Electric Highway offering the UK’s first motorway service network of chargers. While this was free of charge for years following its launch in 2011, the company began to tinker with its pricing structure in 2016 when Electric Highway MD Simon Crowfoot revealed the company was losing hundreds of thousands of pounds a year from the network. This is no doubt down to the low utilisation of charging units, with many network operators facing up to the high upfront costs of installing these chargers in the hope that they will earn revenue as EV take-up increases. Instavolt is one such provider, taking a new business model compared to the predominantly AC chargers that have already been deployed. Instead, the company is seeking to take advantage of what could be deemed as consumer resistance to change and aiming for the country’s existing refuelling locations with a different technology. Payne explained: “If you think how people operate their vehicles today, you've got 30 million vehicles on the road, 8,500 forecourts with 6-8 pumps on each. As the concentration of EVs goes up you need to replace those refuelling sources, I don't think it's that difficult to see the market. Through its supply deal with Chargepoint, the company will deploy 50kW DC chargers, which Payne sees as the future of UK charging infrastructure. “Going forward as you get to the bigger batteries you'll find that as cars operate on DC, there's little point in building the charging infrastructure into every single car if you've got it in the charger on the roadside. Immediately you can take that out and reduce the capital cost of the car,” he added. As these bigger batteries increase in penetration, other business models are already appearing using additional technologies to mitigate the impact of charging. Connected Energy’s E-Stor solution uses second life batteries from Renault combined with 43kW chargers to offer a fast charging solution in grid constrained locations. Battery storage like this could offer a valuable source of alleviation for grid heavy charging such as at motorway services, as Kerstens explains. “It could certainly play a role in destination charging as well as in motorway charging as well. One of the key issues we start seeing is grid capacity and there will be occasions where you need to make a trade-off for lower costs to add a battery and be able to take advantage of low cost power and not having to upgrade the grid versus spending money on grid upgrades. The revenue stacking inherent to batteries can also come into play, offering new business models to supplement the minimal revenue available from merely charging drivers to use the chargers. 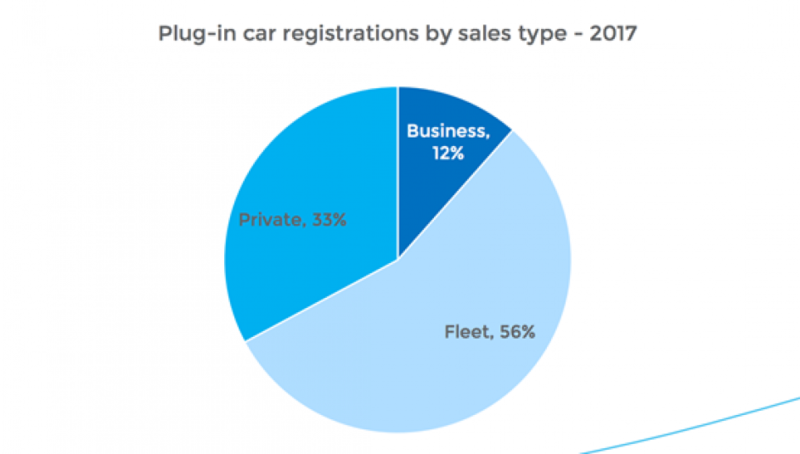 Business models like these are in effect showing how private capital is offering a healthy solution to meeting the needs of EV drivers going forward. It is however at this point that the government, mindful of concerns over EV charging provision, has decided to bulldoze its way into the charging landscape with the promise of a £400 million charging infrastructure fund. 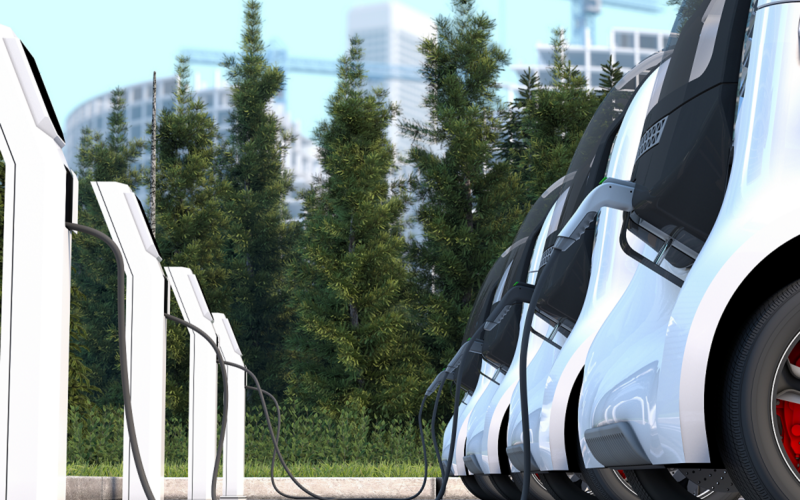 Currently under development by the Infrastructure and Projects Authority, it will combine £200 million of government money with the same amount from the private sector – a private fund manager will soon be sought – to offer direct equity investment and potentially some debt investment to fund the deployment of electric vehicle chargers. “That's their starting point for their model and in fairness, I don't think it's a bad thing,” Payne stated. “To build a network of rapid DC chargers and then upgrade them as we go is quite a capital investment so there is a need for capital. Now whether that comes from a government backed fund matched with private money, or whether it just comes from private money, it's going to come down to where you can get the cheapest money. So having another source of capital in the marketplace I can't see that as all together a bad thing. However, while this is most definitely a welcome sign of support from government, the rather ham-fisted introduction of government support has not been as universally welcomed as perhaps Whitehall may have expected. Callow explained: “There is no need for government to create a fund that funds charge points, the private sector is doing just fine. It will skew the market and probably slow things down. “If the government really wants to throw money at charging it should throw it at the complex stuff like DNO connections that actually is the expensive, slow bit of getting out infrastructure. Burghardt agreed that the cash could be better used, such as by providing utilisation guarantees to provide credit for fleets to use existing infrastructure or even a feed-in tariff-style offer that “bridges a certain return expectation of a commercial investor” to kick start revenue while utilisation remains low under current EV take-up percentages. “If the government really wants to throw money at charging it should throw it at the complex stuff like DNO connections that actually is the expensive, slow bit of getting out infrastructure." The government’s efforts on a legislative level have received more support, particularly the measures outlined in the Automated and Electric Vehicles Bill. Currently nearing the end of its journey through both Houses of Parliament, this will see that motorway services and petrol forecourt operators install charge points; that live data is made available for drivers to see the locations and availability of local chargers; and perhaps most importantly, that only smart chargers are installed to head off the grid-crippling predictions of those fretting over spikes in peak demand. While almost everyone would argue that there is still plenty to do – not least a firm definition of what ‘smart’ actually means (considering how long it took to secure this for energy storage, it could still be a while) – positive strides are being taken. However, it is important to take stock of what has already been achieved and lay out some definitive facts therein, most notably that EV charging has already been able to keep up with EV deployment when taking into account all forms – home, workplace, commercial and motorway. Yes, EV penetration is of course going to increase at a faster pace than has previously been achieved but what is there to suggest that the number of EV chargers will not follow suit? Judging from figures already put out by network operators, thousands more chargers are already set to be deployed by the end of the year. And with even more providers entering the market on top of government involvement, the UK is probably in the best shape it could be to see charging infrastructure power on.